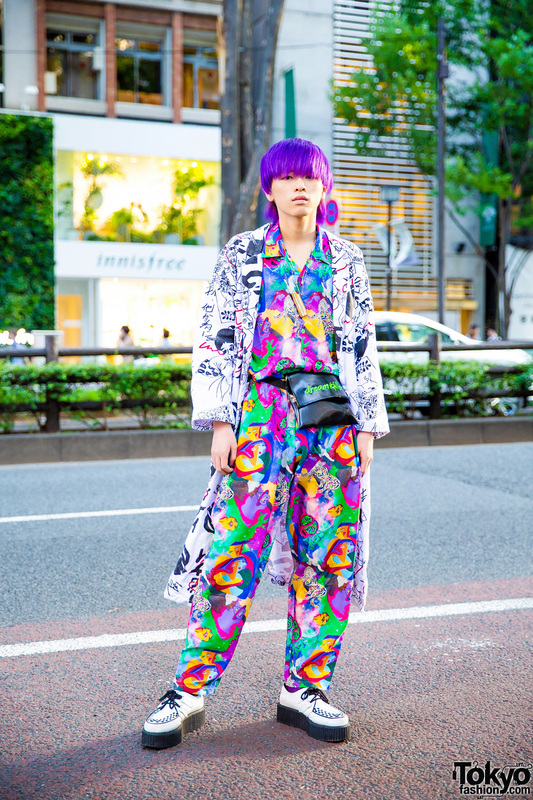 Japanese fashion and graphic designer sporting a statement-making avant-garde look while in Harajuku. Harajuku girls sporting colorful streetwear outfits while out and about one evening. 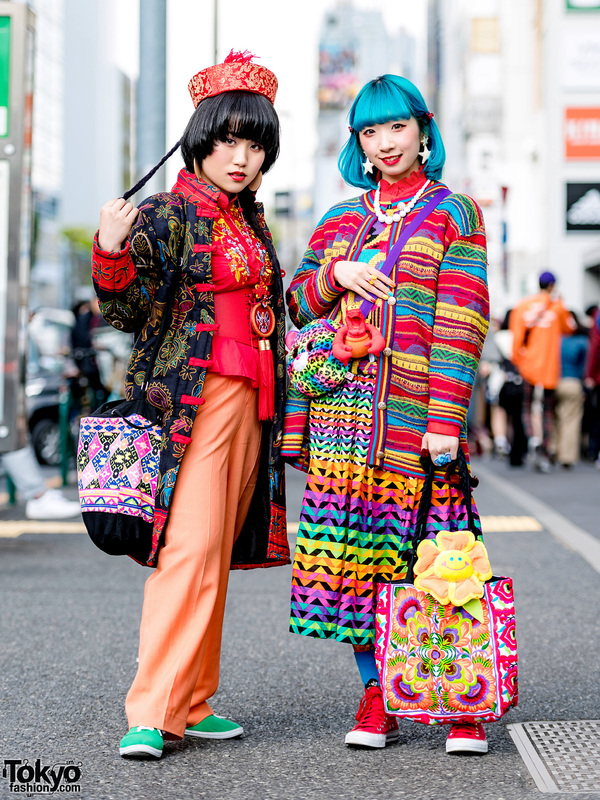 Stylish duo in mixed colors and prints while out and about in Harajuku.